The initiative for this book came from an invitation by a congressional group to respond to the denial efforts of the Turkish Ambassador in Washington in 1999. A detailed, major rebuttal was prepared by the staff and board members at the Zoryan Institute within a short time and provided to every member of Congress. 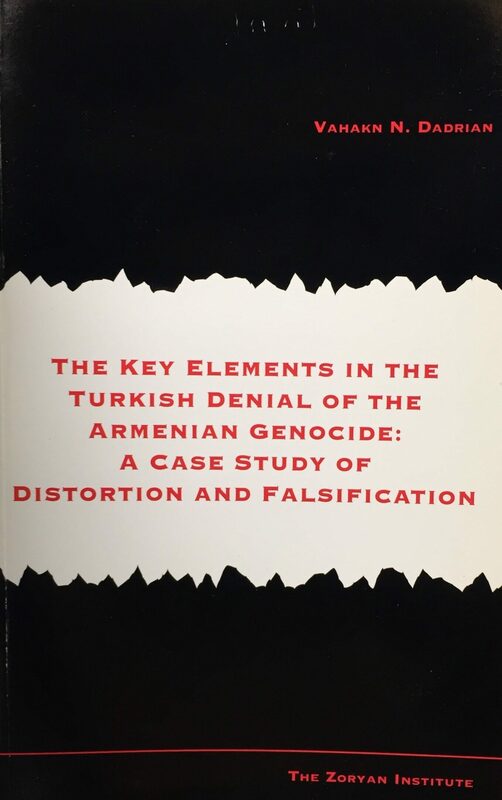 In 2005, an expanded version of this report was published and translated into Armenian by the Director of the Zoryan Institute, Vahakn N. Dadrian. The extended book is an impressive display of meticulous scholarship. Using incisive and cogent argumentation, as well as primary documentary evidence, especially from Turkish and German sources, Dadrian deals with and sets the record straight on such issues as: The Allegation of Inter-Communal Clashes; The Fallacy of the Argument of Armenian Rebellion; the Nuremberg Trials and the Armenian Genocide; The Crusade Against American Ambassador Morgenthau, and many other topics. This is a compact work intended to confront and expose the fallacy of all the principal features of the Turkish denial syndrome. As such, it is bound to remain a potent weapon in the fight for truth and justice for a very long time.